A regular romantic getaway alone with your loved one is essential for maintaining a healthy relationship, especially with today's stressful lifestyle. You need time to relax and unwind, not only for yourself but, also as a couple. A weekend away from home, work or even the kids will do wonders for not only your stress levels but, your romantic relationship too. The key to the perfect romantic holiday is the accommodation. 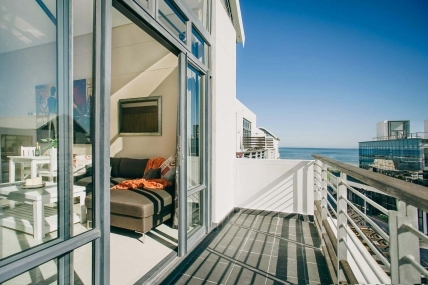 We offer a variety of fully furnished, self-catering romantic holiday homes, villas and apartments throughout the Bloubergstrand area that cater to couples looking for just a little time to themselves. 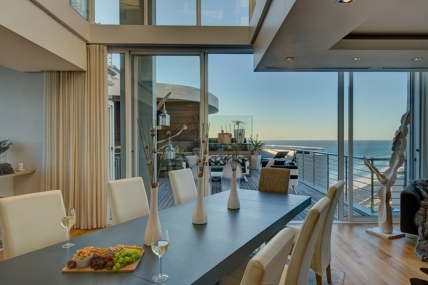 Blouberg has the ideal setting for a romantic getaway. Many of our romantic holiday apartments offer stunning views of the ocean from the balcony. Waking up to watch the boats lazily moving along the sea is a peaceful way to start your day. The ocean facing balconies get full view of the sunsets, the colours are absolutely beautiful and depending on the weather can range anywhere from pinks and orange to greys and purple. 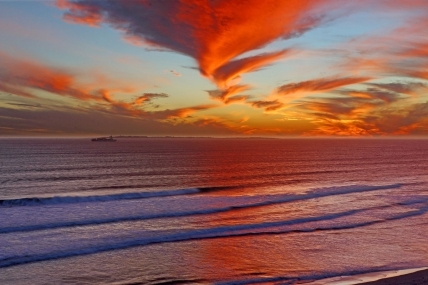 Watching the sun set over the sea in Blouberg is a romantic experience all on its own. Our romantic holiday apartments and villas have fully equipped kitchens so you can easily cook a romantic meal for your significant other. There's few ways better to show you really care about and appreciate someone than to cook their favourite meal. Many of our romantic villas in Bloubergstrand offer large spa baths perfect for two. You can crank up the romantic music, pour some wine and run a bubble bath. Many of our more upmarket properties have Jacuzzi hot tubs outdoors in the garden or on the balcony. Just imagine relaxing in the hot tub with your partner and watching the stars on a warm summers night. If you're not keen on going out after your soak, curl up with your partner on the couch for a good movie in front of the TV. We make sure our Bloubergstrand romantic holiday houses and apartments offer flat screen televisions with DSTV and DVD players so you can stay entertained without having to leave the house. Put some popcorn in the microwave and get ready to enjoy a night in. If you want to enjoy the night life Blouberg has to offer, you'll find a variety of bars, pubs and clubs within walking distance from your holiday accommodation. You can spend the night with some cocktails, talking and bonding or simply dancing the night away. If you're not up for the walk or you've had a bit too much to drive home then call a cab from one of the many reliable taxi cab companies in the area. They'll ensure you get indoors safely. To book the ultimate romantic getaway get in touch with one of our reservation staff. They're available to assist you in making your next vacation an unforgettable experience.